Sony is expected to officially announce the new A6000 mirrorless camera tomorrow; however, we get a sneak peak a little early thanks to this image of the new E-mount mirrorless camera that leaked out. The A6000 continues the rebranding process of Sony’s E-mount cameras, which were previously branded as NEX models. 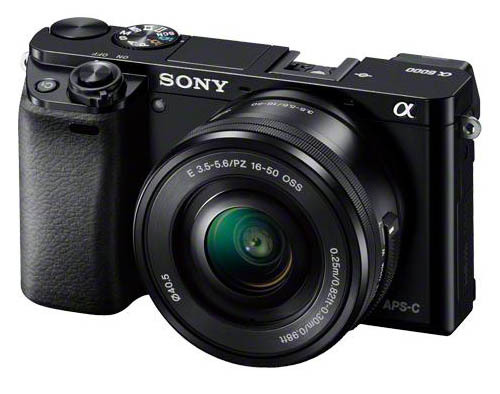 Since Sony consolidated the Alpha branding, new mirrorless cameras have dropped the NEX moniker in favor of the Alpha moniker and have simply been referred to as an A* series model number. The A6000 bears a close resemblance to the NEX-6, which is seems poised to replace. However, there are a couple differences in the design, like the side-by-side dual mode dials on the top-right of the A6000. Additionally, the A6000 is rumored to sport a 24MP sensor, whereas the NEX-6 featured a 16MP sensor. In several ways, the A6000 seems to be more of a blend between the NEX-6 and NEX-7 models. I’ve been rather impressed with what I have read over the while of these Sony NEX, now Axxxx, series of cameras. If I had the money I’d seriously consider picking one up for everyday photography wants, needs, desires instead of using my cell phone.